… Life is definitely a game… I say this all the time. It doesn’t matter if you win or lose, what matters is how you play the game. If we could see that our lives are perfectly orchestrated by us, we would not put so much stock in external drama. We buy into our illusions as being real – all the day-to-day drama seems overwhelming at times and we think we might not make it through. The fact is, we are always in control. We are the ones who are orchestrating all the moves on the table. Sure, we may make a bad move here or there and we may even lose a game or two, but the winning is in the learning behind every bad move. We learn the most from our bad moves and our opponent’s bad moves. Never despair, there is always another game to be played and always another opportunity to make a different move. In the game of life, the king or the queen can always be taken out. But we are never the king or the queen that gets taken out, we have to remember that we are bigger than that… we are the ones with free will and we are the ones that are making the moves that affect our lives everyday. We are in control. As long as we are in this body, we are in complete control of every move we make. We are never the pieces getting dragged off the board. Remember that you are never a victim of your life. 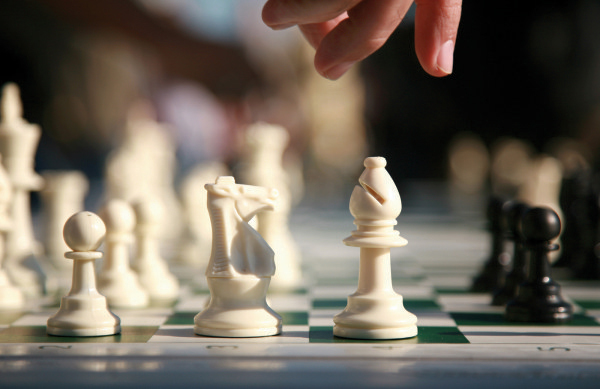 You are the one strategizing your next move at every given moment. Ultimately, it’s not about winning or losing. The wins are always in the lessons, never in the number of pieces left on the board.